Adds all new items which can be crafted at the forge. 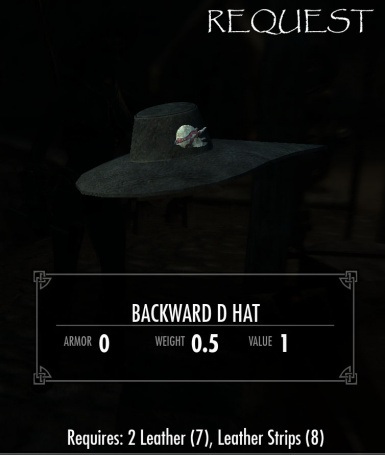 You may not upload any of this content in its original, or any modified form, anywhere (there have been 3 exceptions made for a single hat). 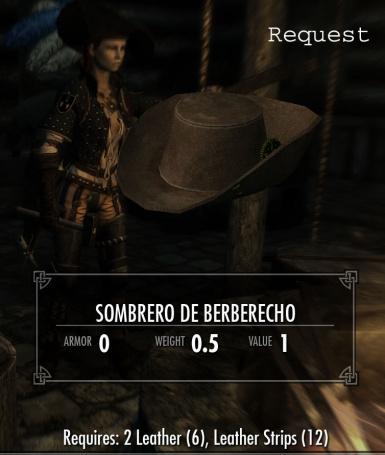 You do not have permission to use this content for anything. 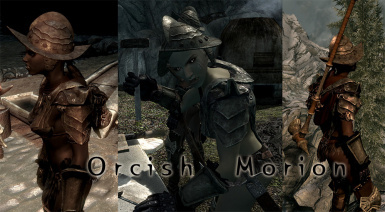 I hate to have to go this route this time, but due to the conflict of interest created by the Steam Workshop attempting to claim ownership of modders' IP and Bethesda trying to sell mods again, I must insist that nothing I create ever has the potential of being uploaded there, and will never give written permission to allow my work to be uploaded to Bethesda.net. 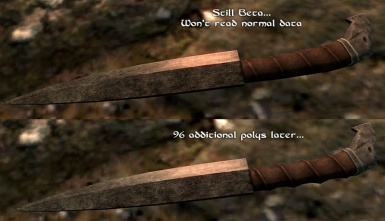 If you feel a particular item is perfect for your mod, you can always make your mod dependent on Bob's. 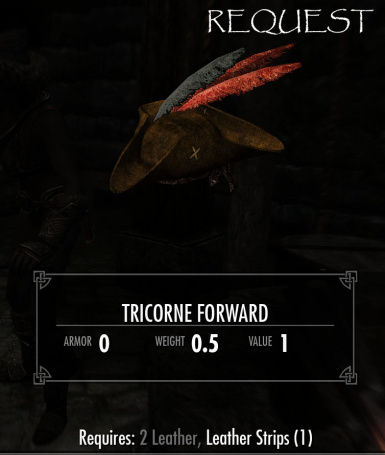 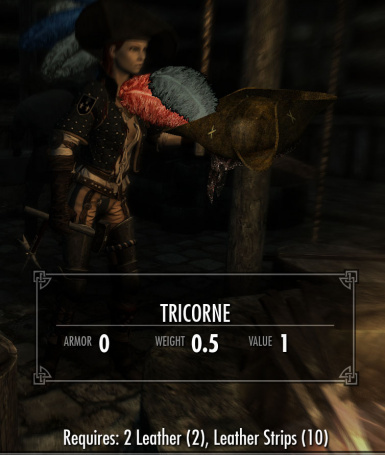 ADDENDUM: Due to getting spammed beyond belief with usage requests for the tricorn pirate hats, those are now up for use without having to ask. 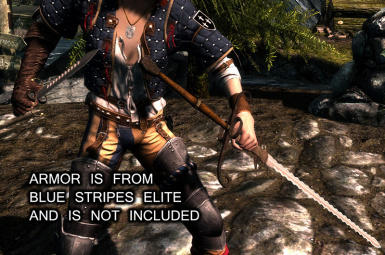 Just make sure to keep the credits straight, and don't upload them to Steam. 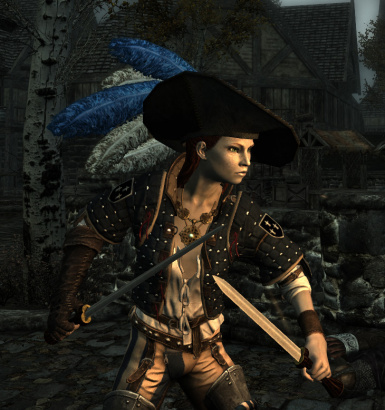 Don't ask me to use the pirate hats, just use them, as I have stopped responding to all of the requests. 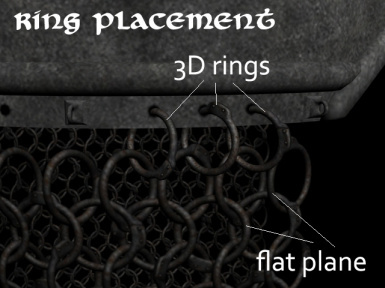 Mr. Dave - all meshes and textures. 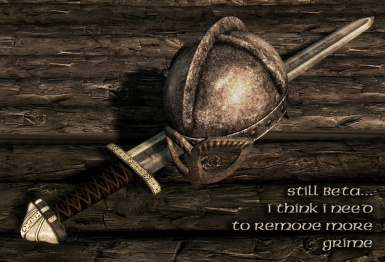 Mr. T. - do I need a reason? 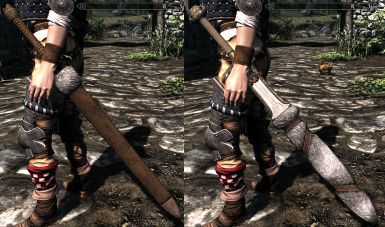 Bethesda - a few dagger and axe scabbard meshes. 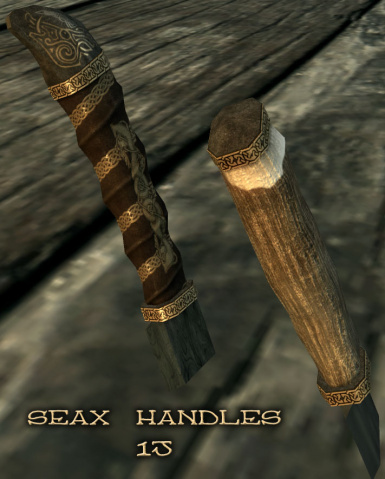 These are being replaced by my axe holder little by little. 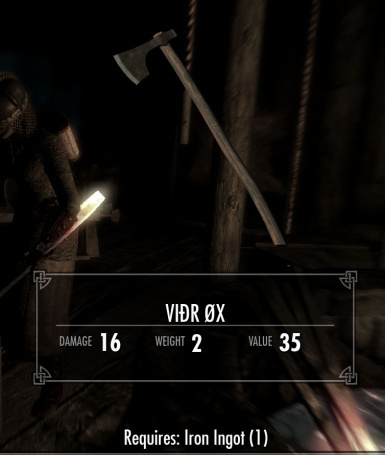 DSR Compatibility Patch by Clevon is now up! 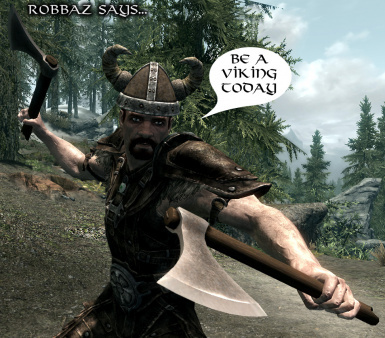 I JUST TESTED BOB'S OUT IN SSE AND IT WORKS FROM THE DOWNLOAD HERE WITH NO ALTERATIONS. 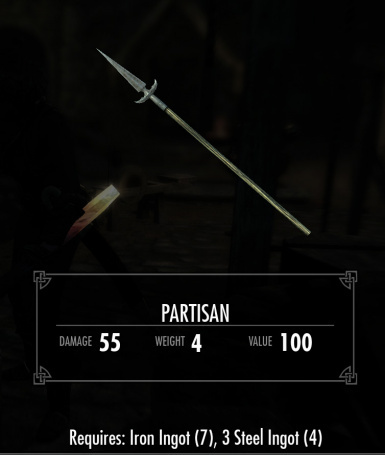 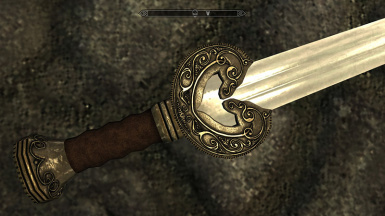 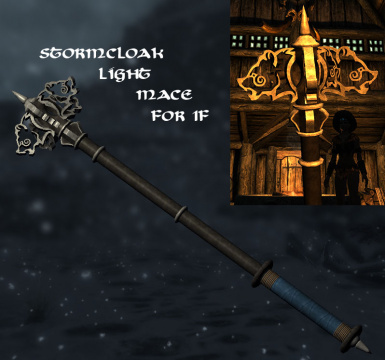 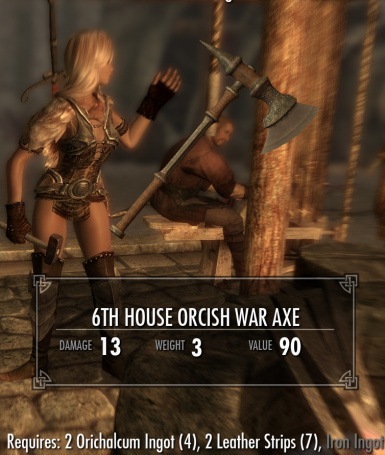 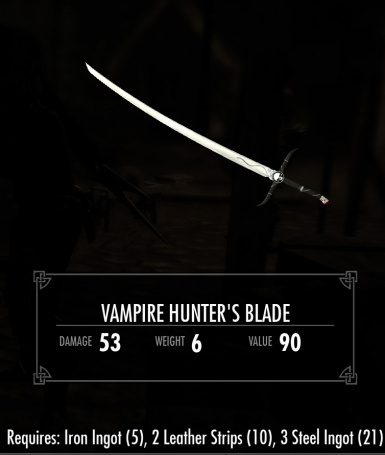 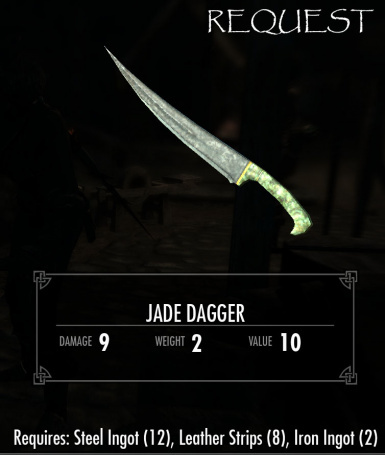 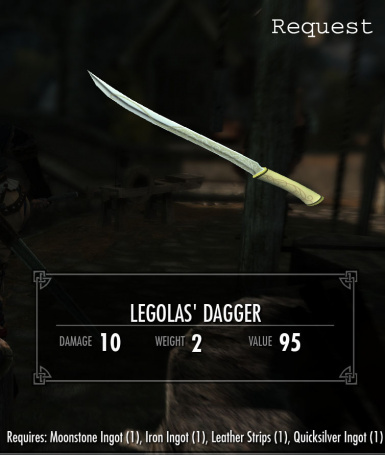 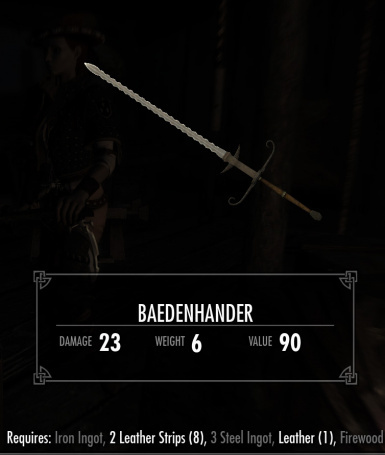 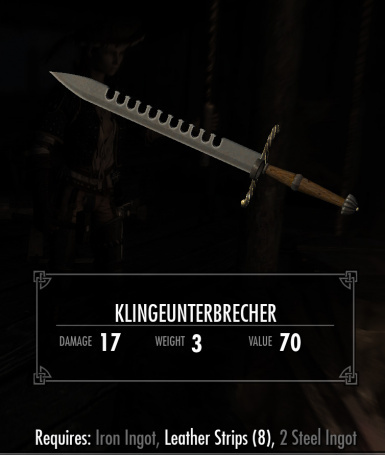 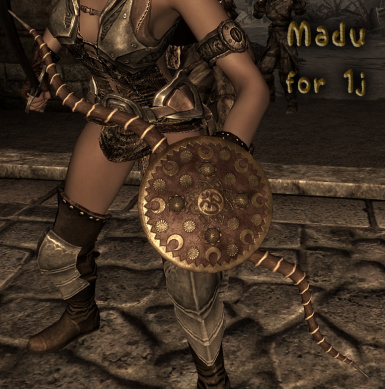 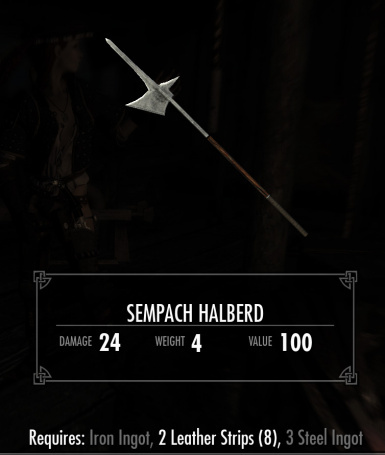 Vanilla Weapon Replacer by Leadpipejustice. 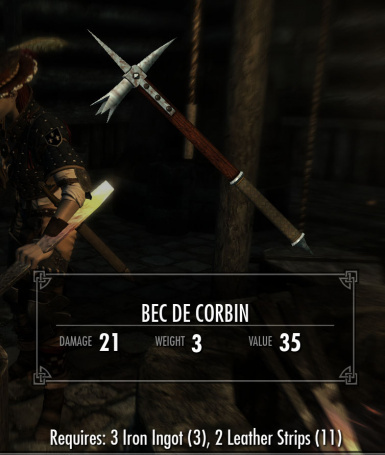 Yeah, it's still a beta at the moment. 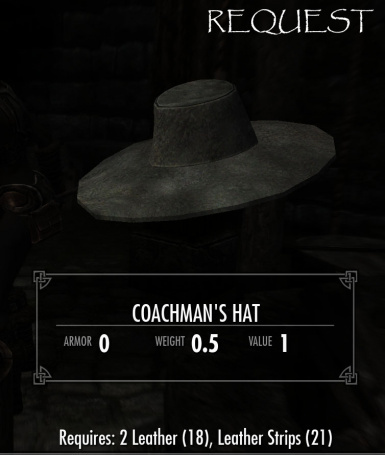 I still haven't finished the new hats and helmets... but there are a ton of new items. 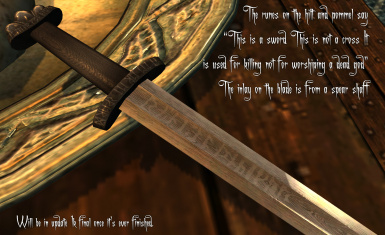 Please see the readme in the download for more information. 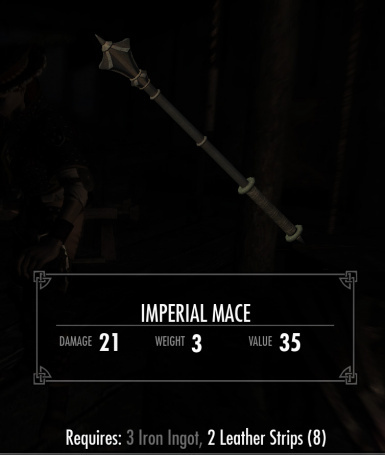 The mod has pretty much doubled in content. 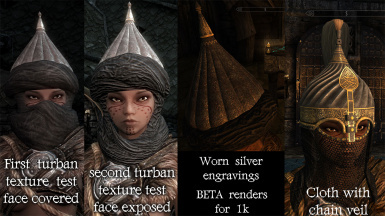 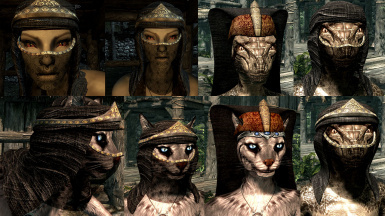 Some items are still not complete, such as some of the new hats and helmets aren't finished for all races, and some of the new textures aren't polished. 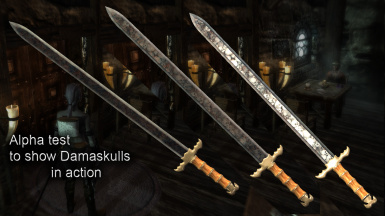 The new items are not listed below. 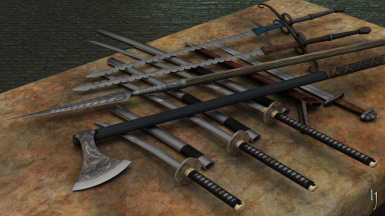 AS OF 07-14-2018 NONE OF MY ASSETS ARE TO BE USED BY ANYONE FOR ANY PURPOSE. 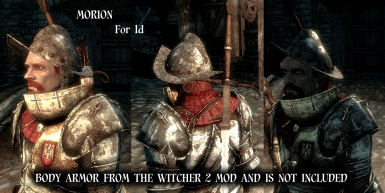 If you don't like this change, thank the moderators for siding with plagiarizers and lying thieves on this site. 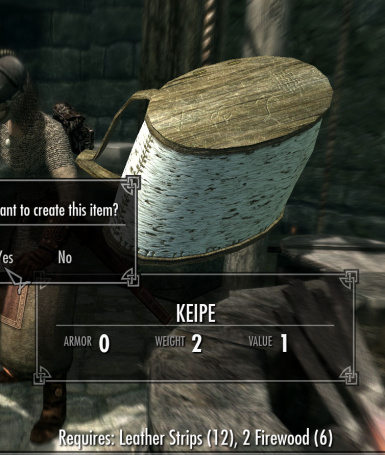 "due to the conflict of interest created by the Steam Workshop attempting to claim ownership of modders' IP, I must insist that nothing I create ever has the potential of being uploaded there." 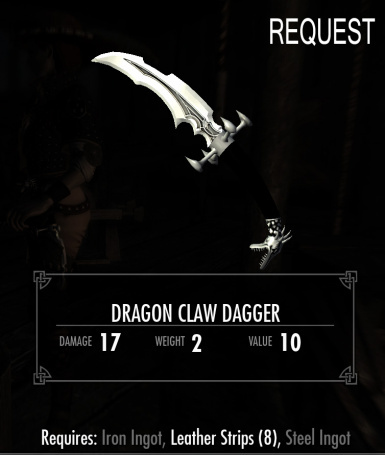 DO NOT UPLOAD MY ASSETS TO THE STEAM WORKSHOP. 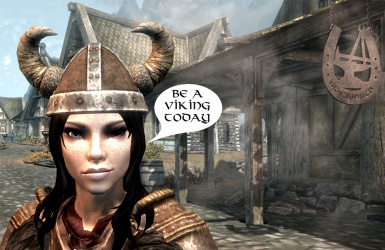 You will be hit with a DMCA take down. 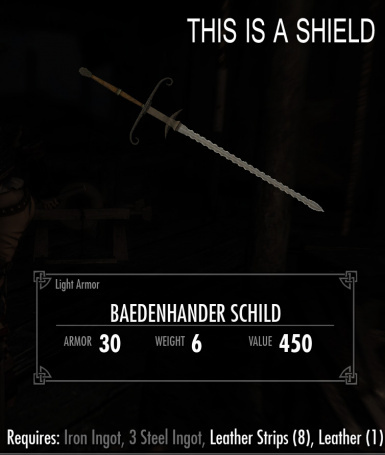 Bethesda.net is pulling the same crap. 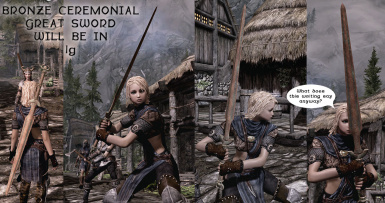 Bob's Armory Clothing: Dream Girl Edition is now up. 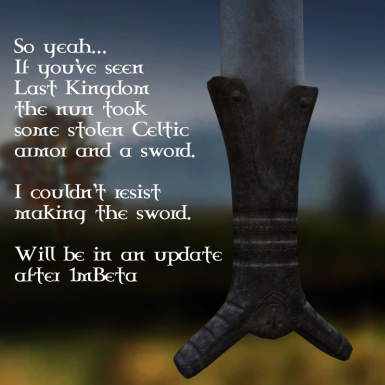 It is beta. 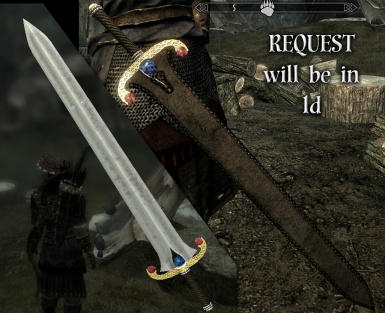 Requests are currently closed due to time constraints. 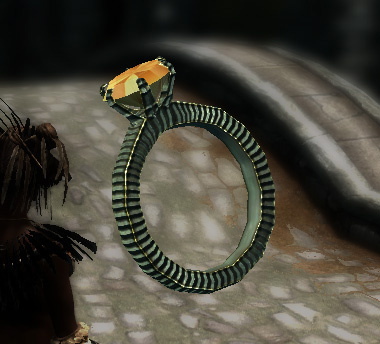 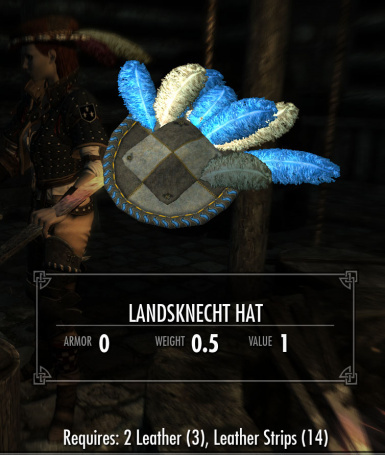 All items can be crafted, and everything except the hats and rings, which are clothing, can be upgraded. 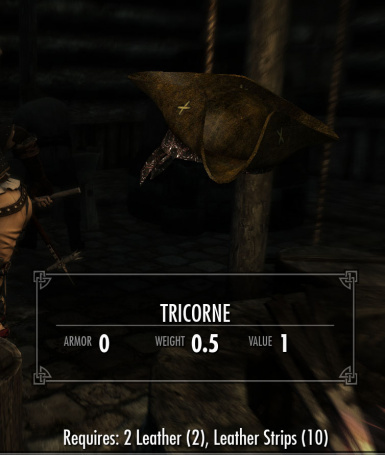 Several items are now in the leveled lists. 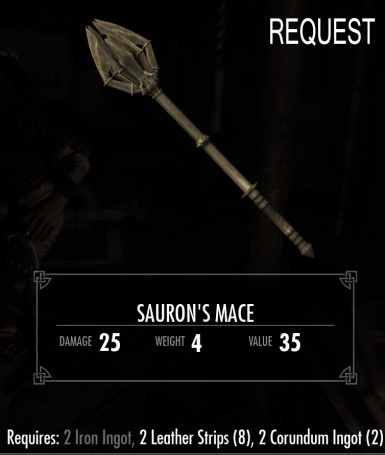 Any request items, and other items I felt didn't go well, were left out of the leveled items, so as not to distract from full game immersion. 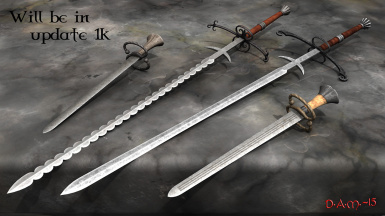 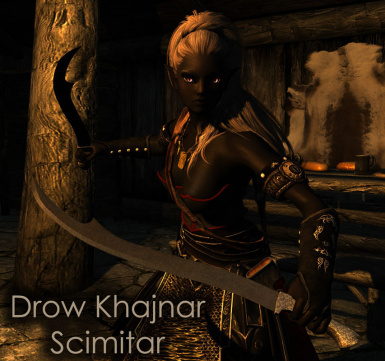 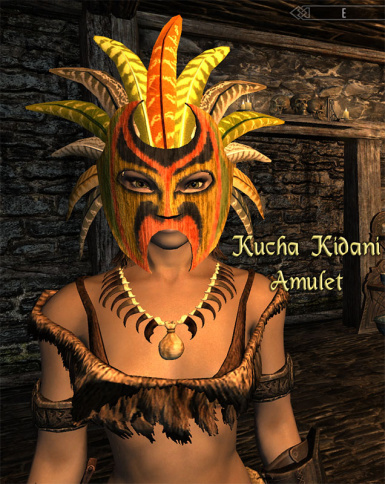 Kematu and 3 of his personal guards have an assortment of Kilij, Bork, Sipar, Khanjar and Chichak placed directly into their inventories to make them a bit more unique. 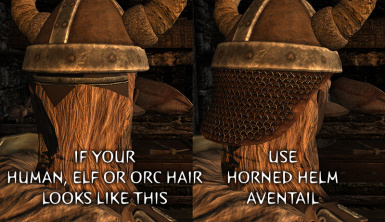 They don't use the items though, so consider them loot if you decide to kill them. 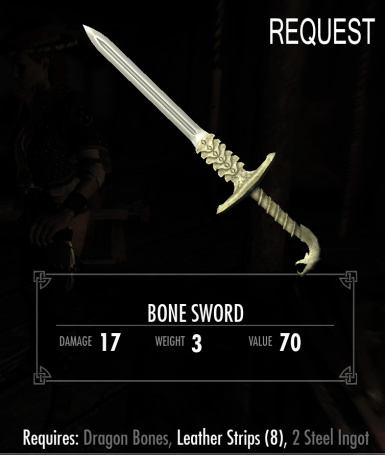 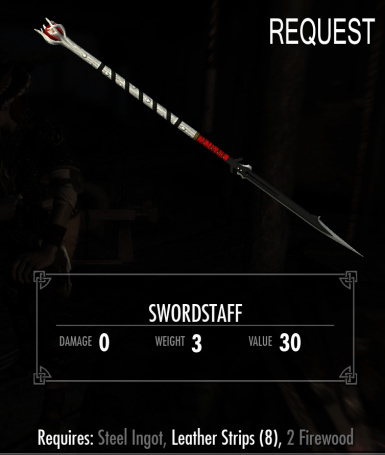 There are a wide variety of weapons, many from requests. 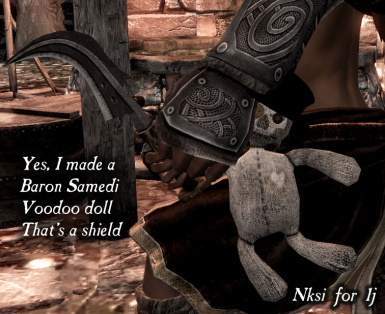 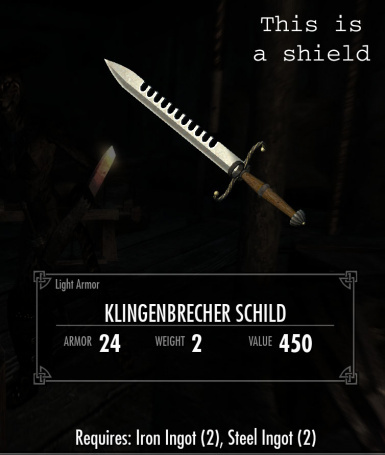 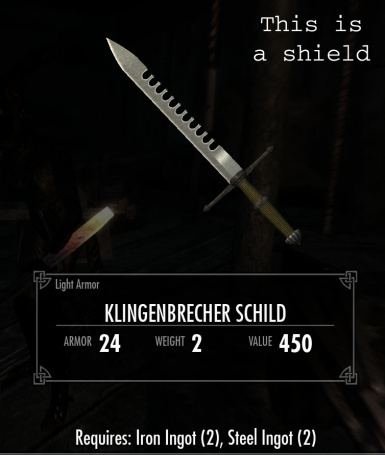 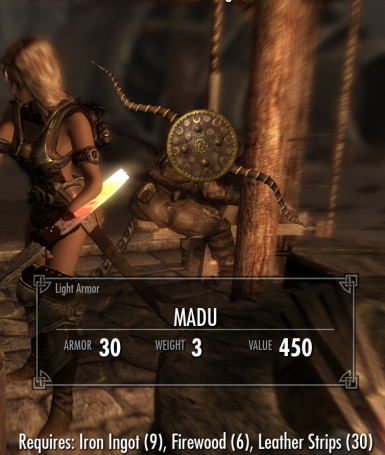 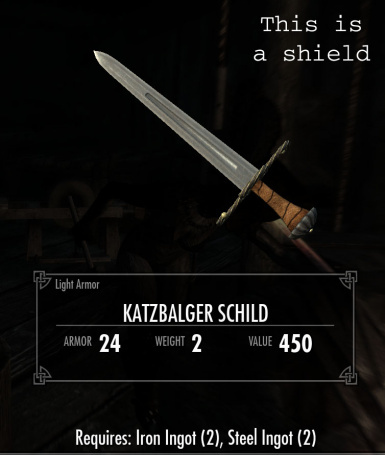 I know I've continually stated that no regular shields will be made, but I couldn't resist making a new sipar and madu (I had been planning to make a new one since before Skyrim's release)... so now there is a regular shield included. 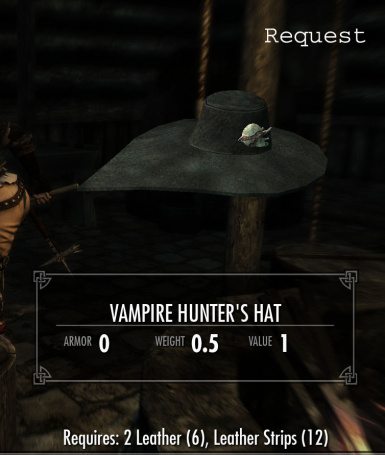 There are now around 300+ items. 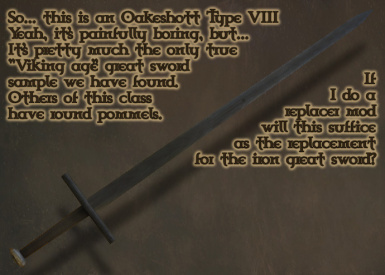 The following list is woefully outdated. 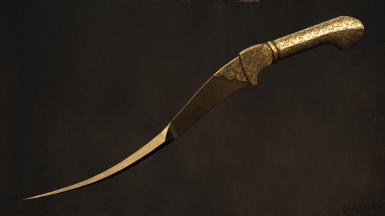 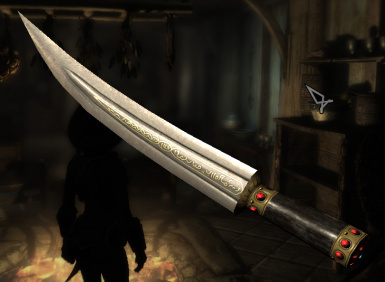 Kadeh (Vampire Goblet dagger) Happy Halloween! 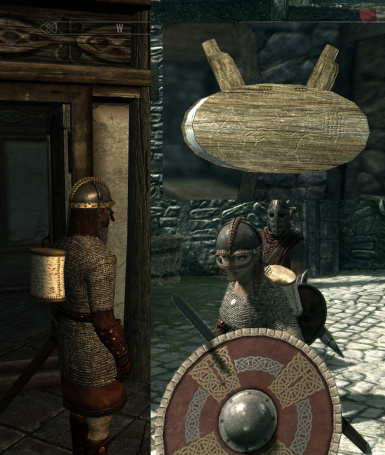 Lindiskjoldr (Authentic Viking shield light and heavy versions) Rawhide Strips (tanning rack) and Cheese glue (coking pot) ingredients needed. 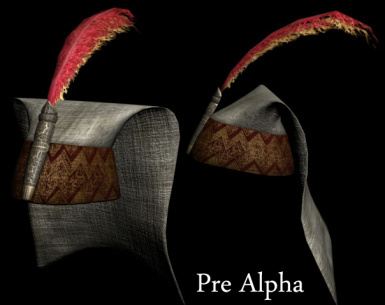 Akaviri Hat (Mongol Style) Adjusted to hide the imperfections on the hairline. 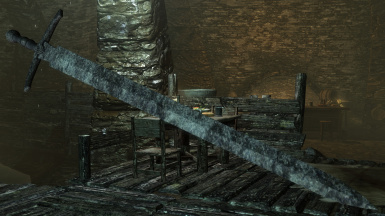 Kadeh (Vampire Goblet clutter) Happy Halloween! 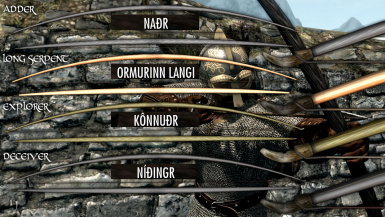 Bow Strings (ingredient for long bows) requires linnen wraps. 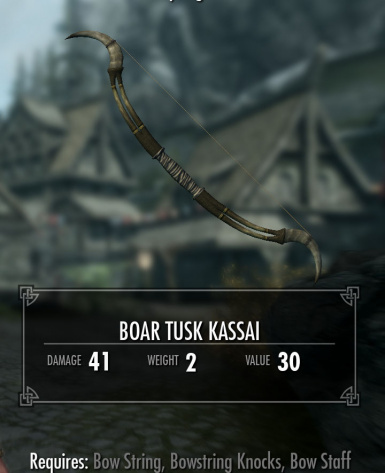 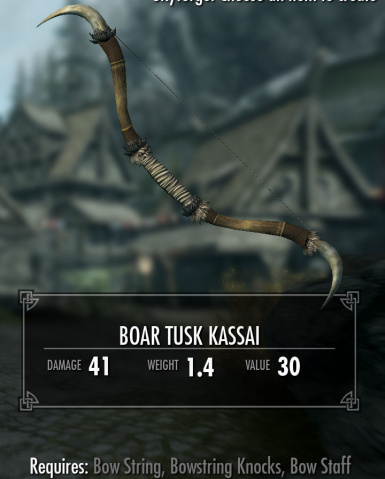 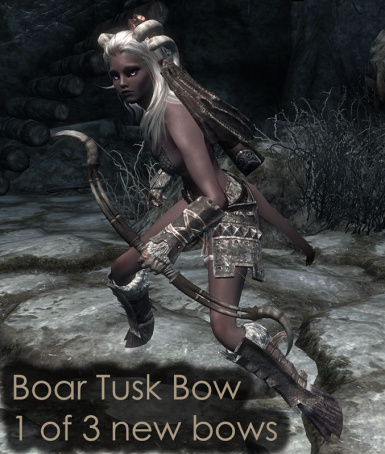 Bow String Knocks (ingredient for long bow) requires large or small antlers. 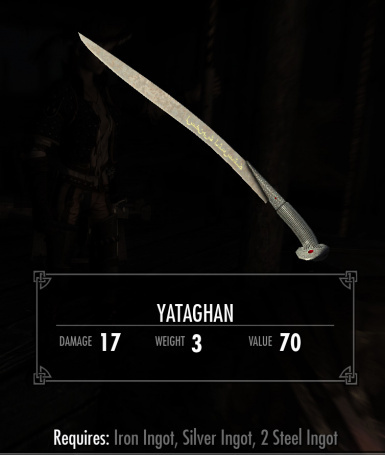 Rawhide Strips (ingredient for shield) requires deer hide or pelt. 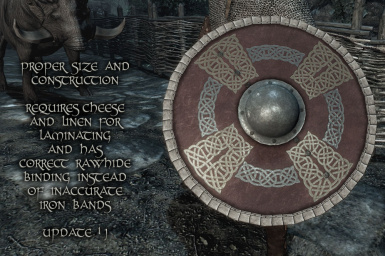 Cheese Glue (ingredient for shield) requires Cheese wheel (goat or eider) and 4 bone meal. 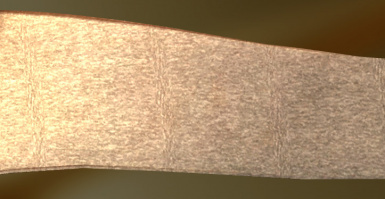 Cheese slices for 3 and 1 glue recipes are now in this list. 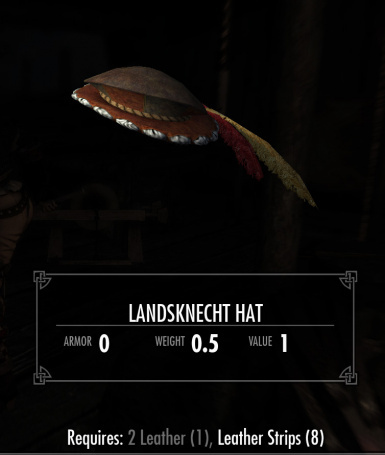 All items have been named in their respective original languages, save for the fantasy requests, so no translations are necessary. 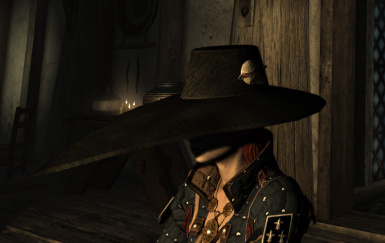 The new hats still aren't complete for both sexes and for beast races. 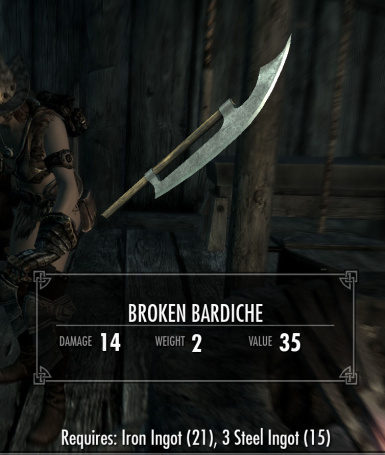 Updates are going very slowly due to health issues. 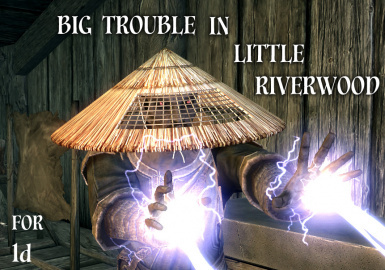 My left arm is shut down from nerve damage. 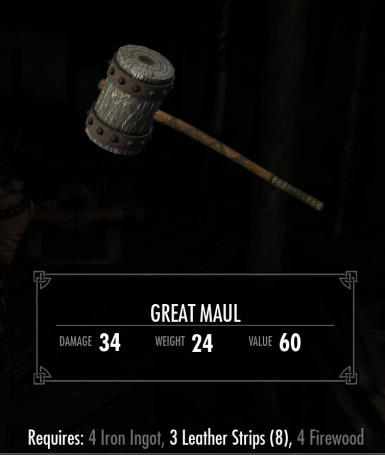 Over 300 in multiple categories. 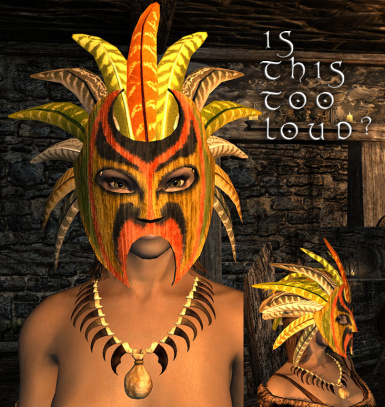 I stopped updating the readme list a few uploads back. 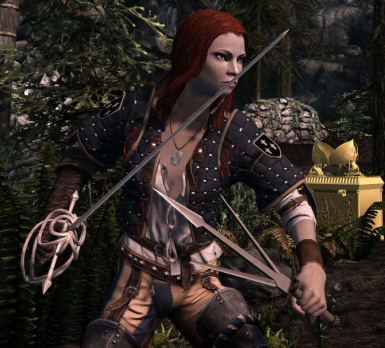 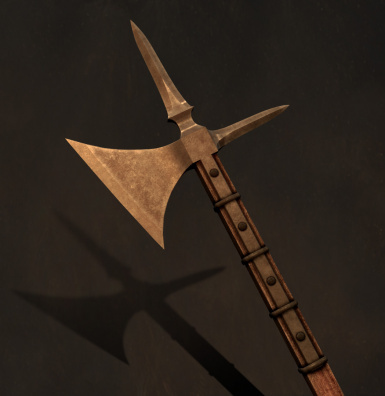 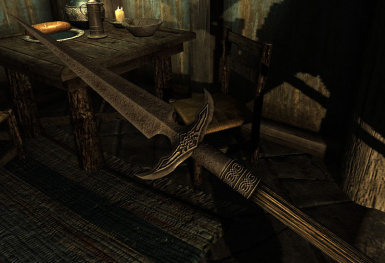 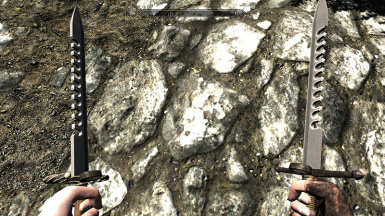 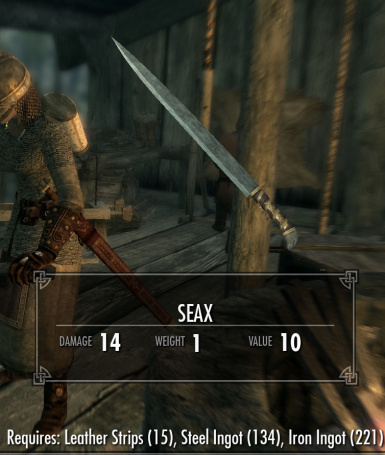 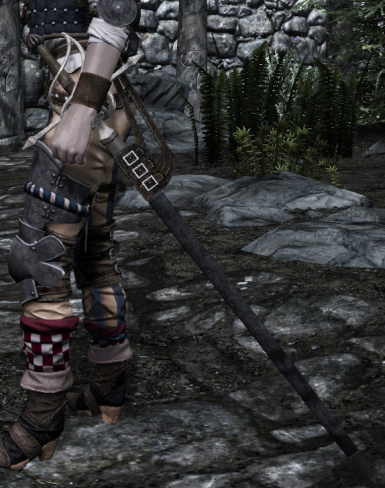 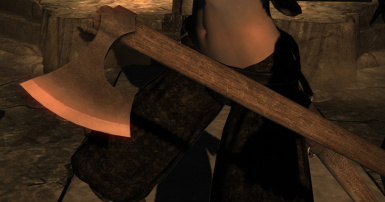 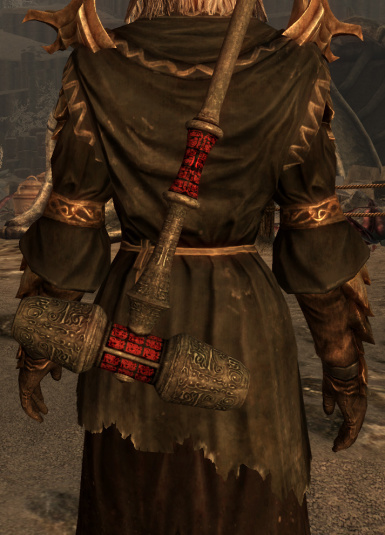 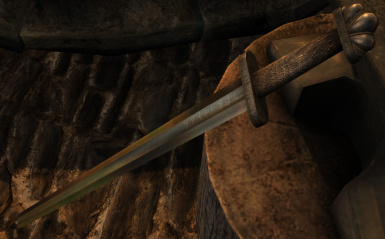 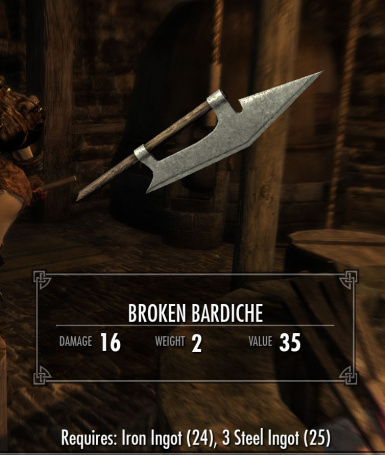 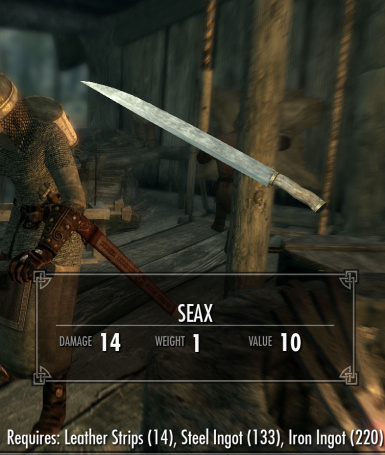 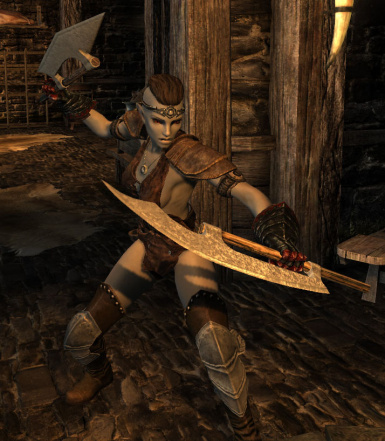 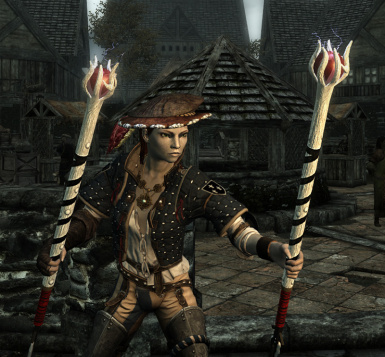 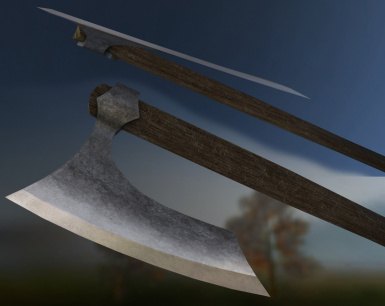 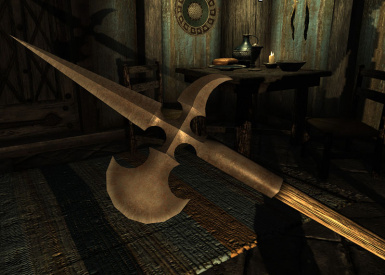 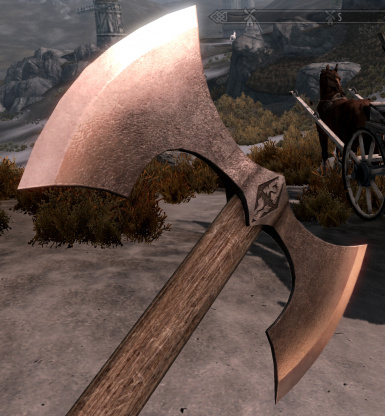 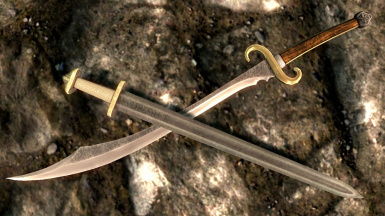 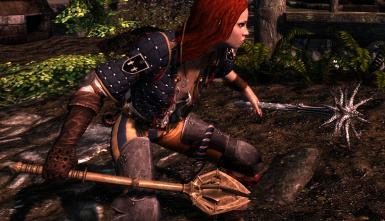 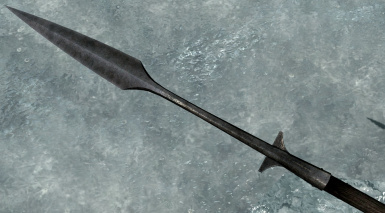 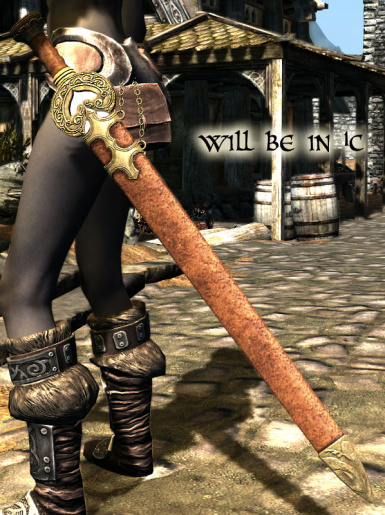 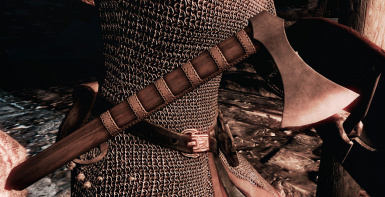 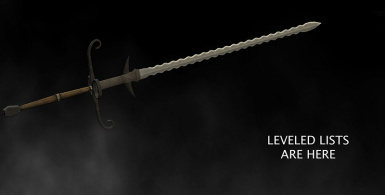 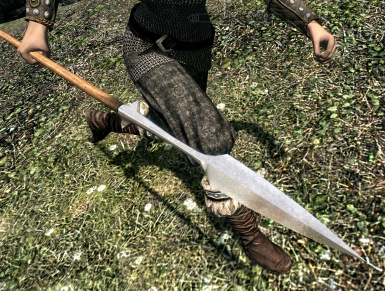 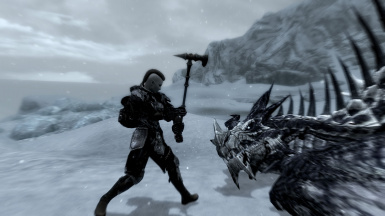 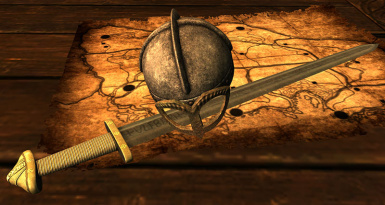 The spears are mostly two handed batle axe. 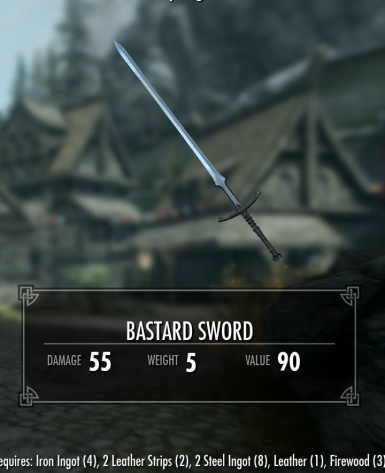 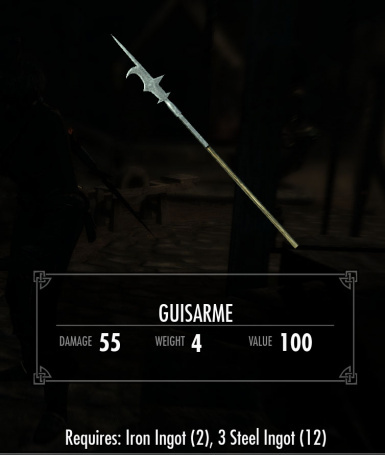 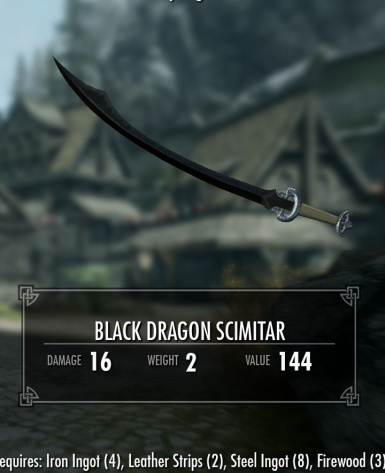 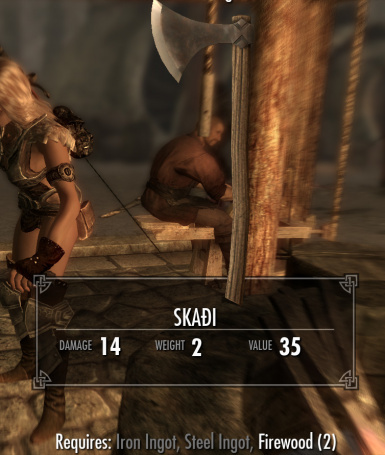 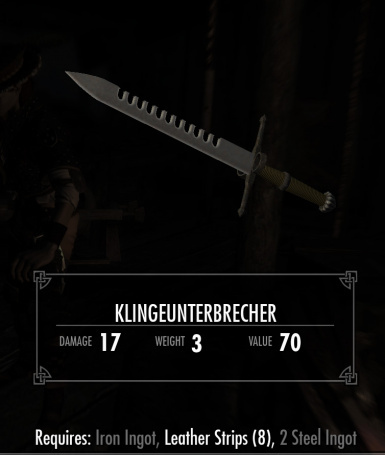 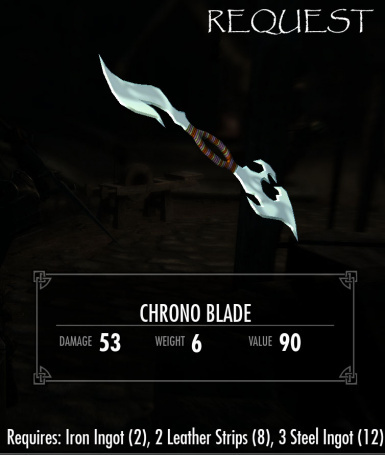 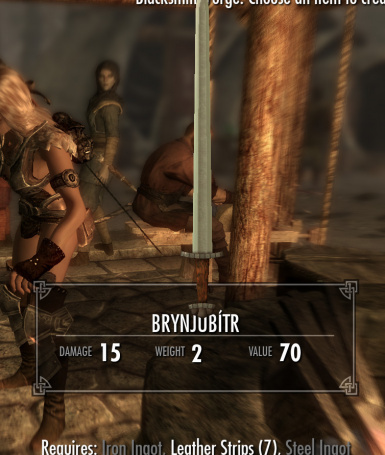 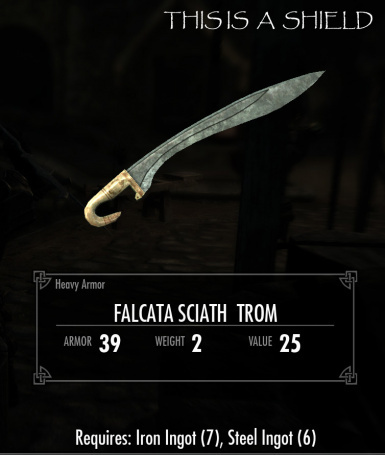 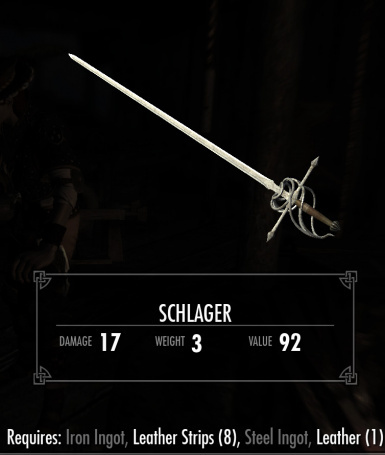 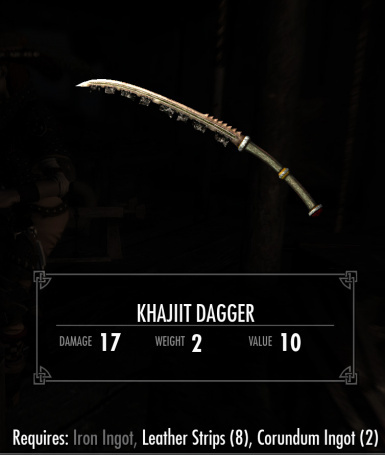 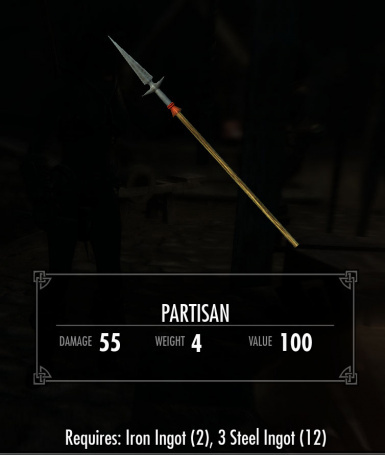 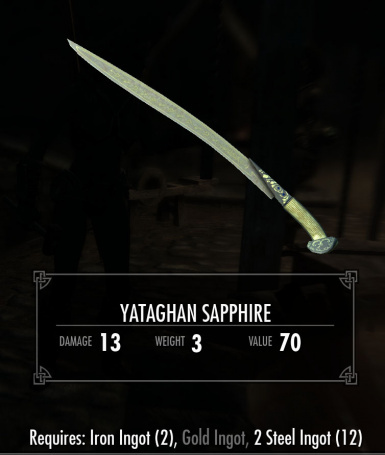 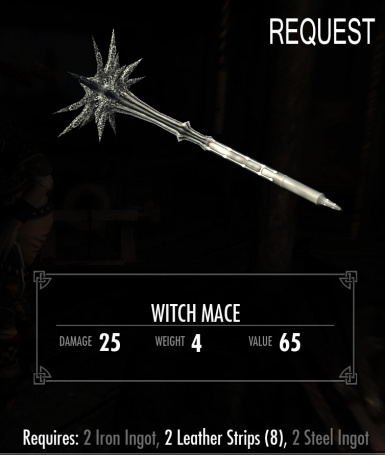 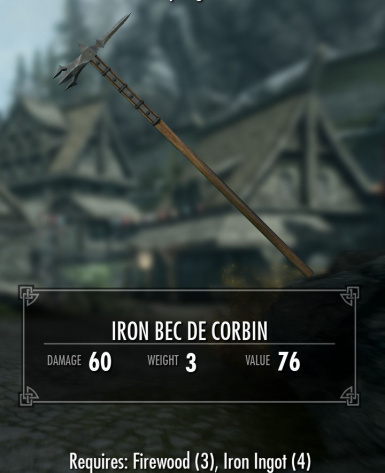 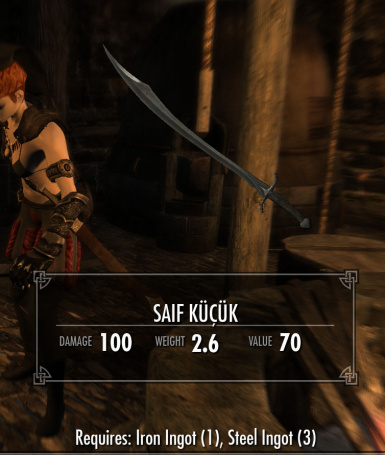 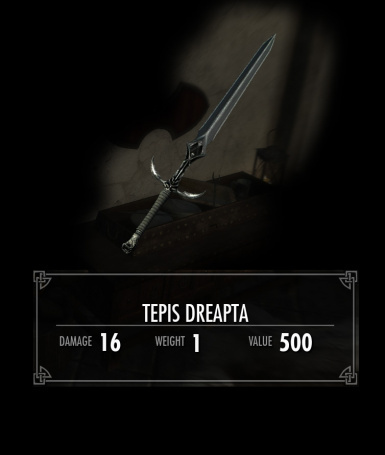 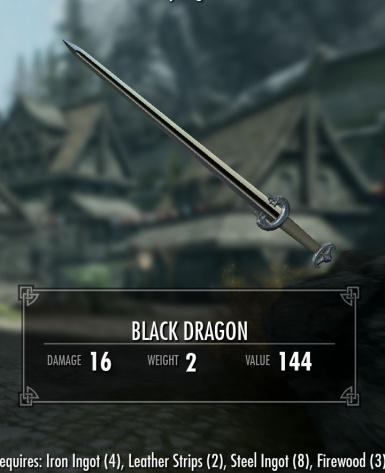 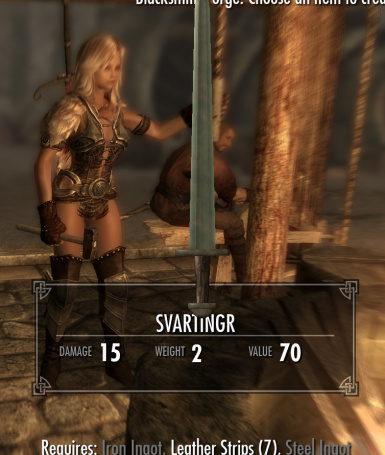 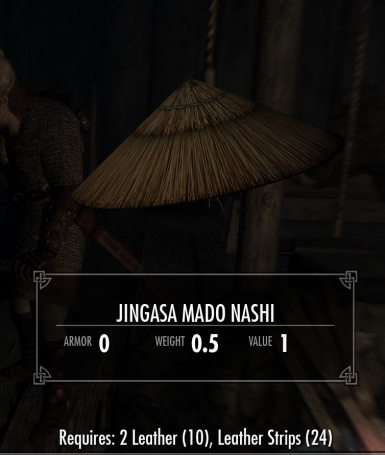 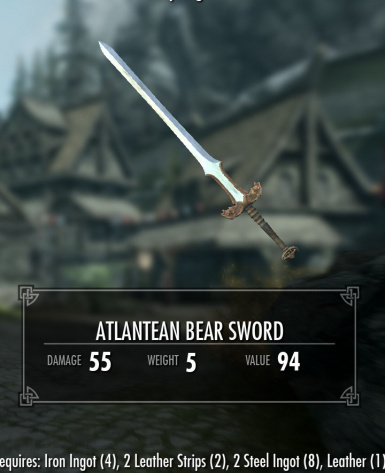 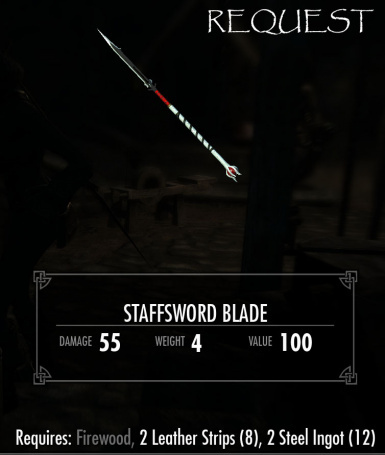 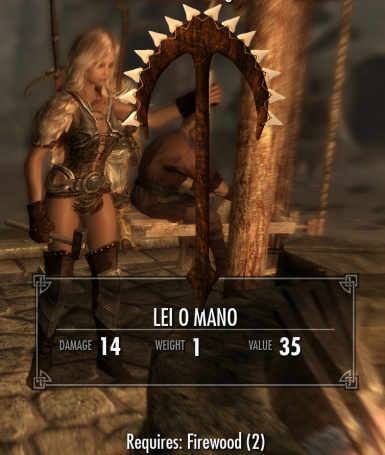 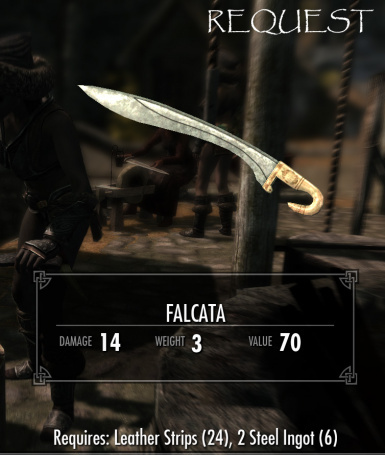 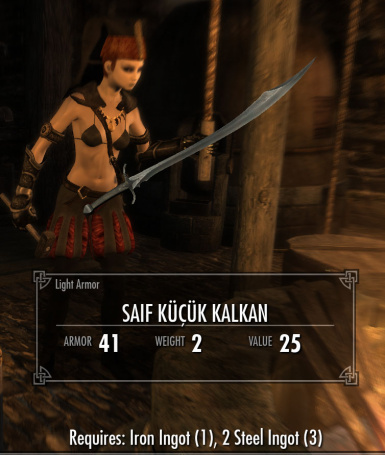 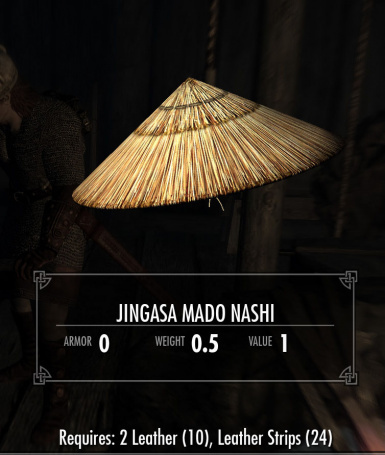 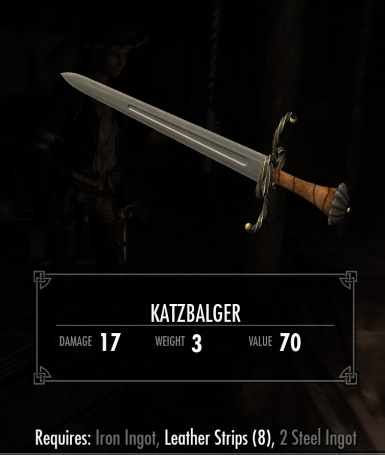 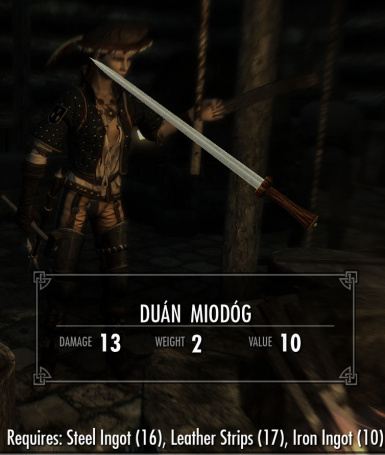 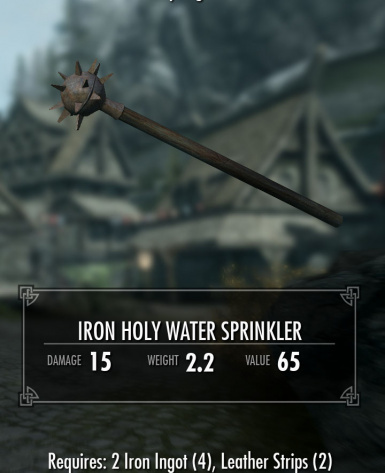 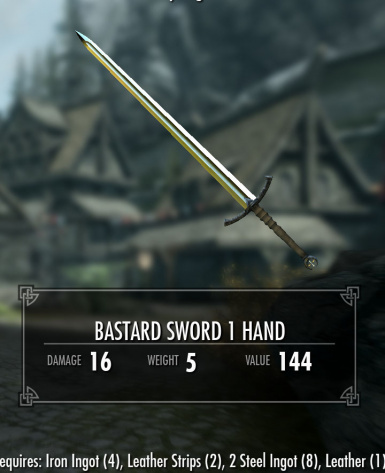 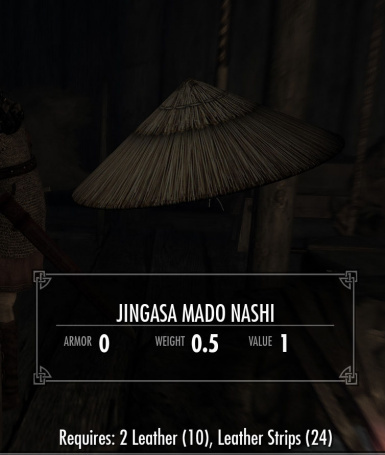 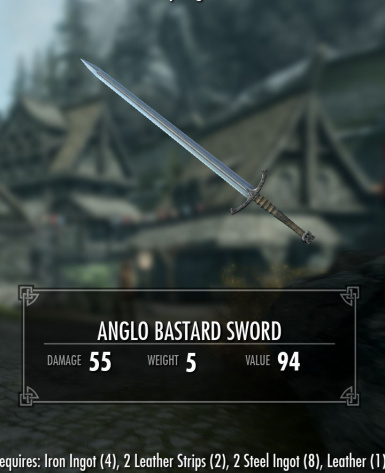 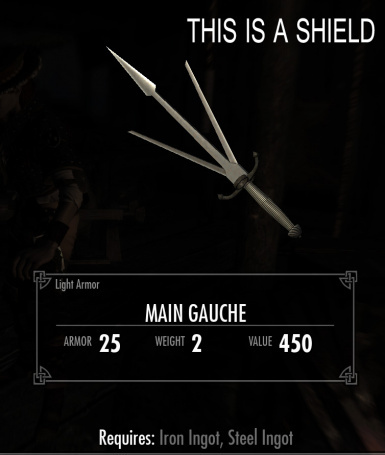 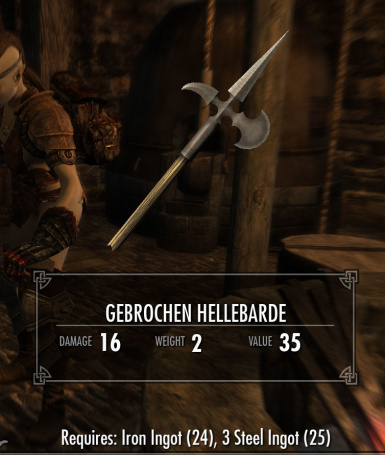 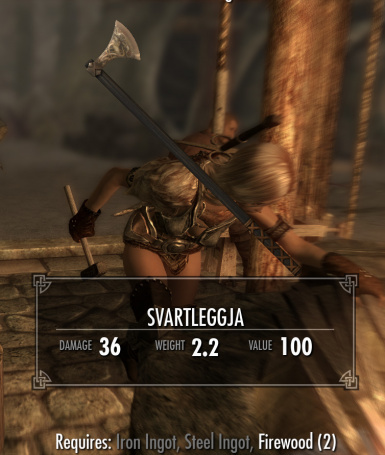 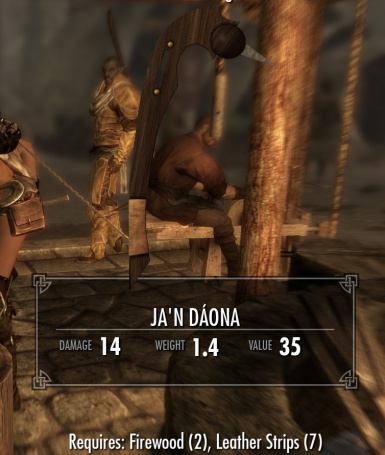 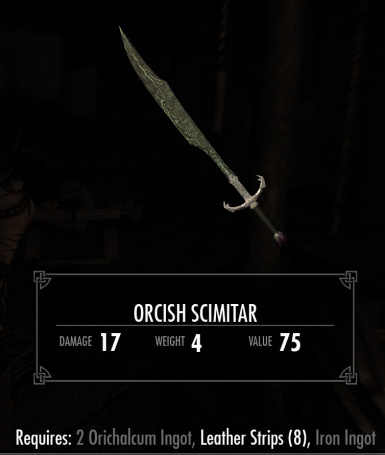 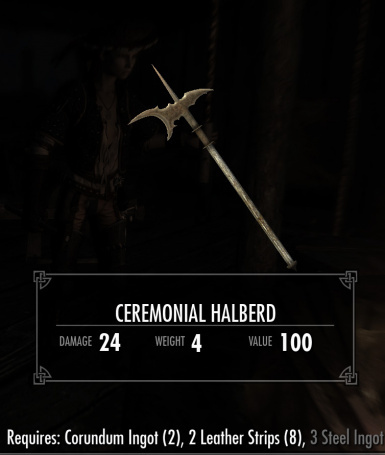 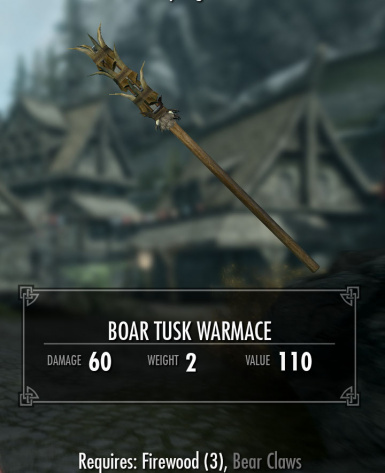 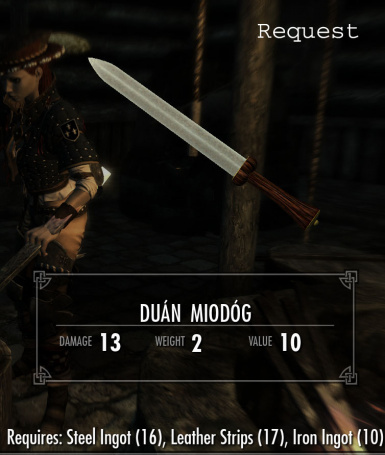 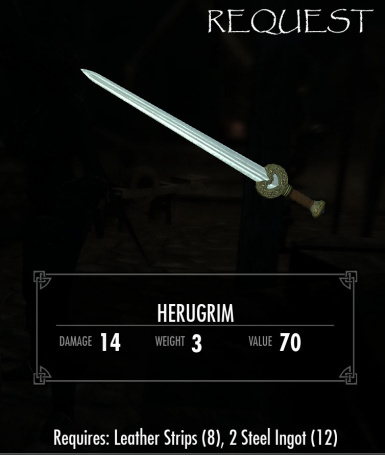 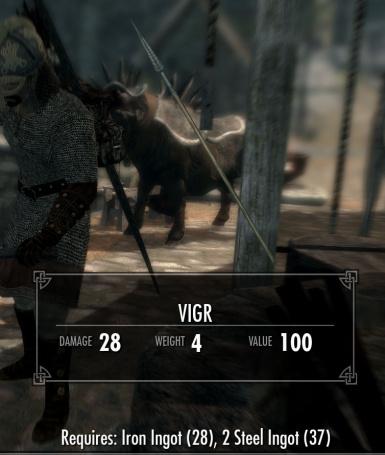 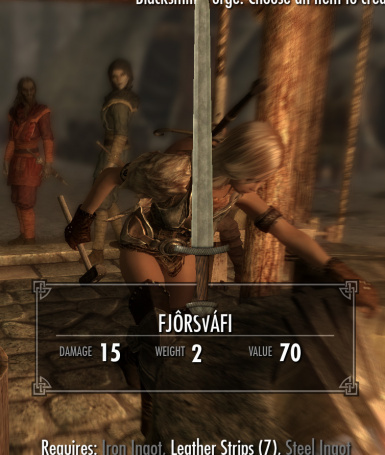 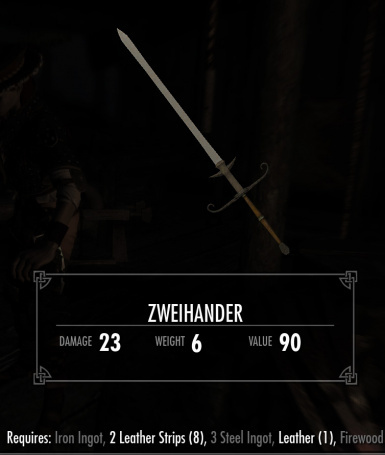 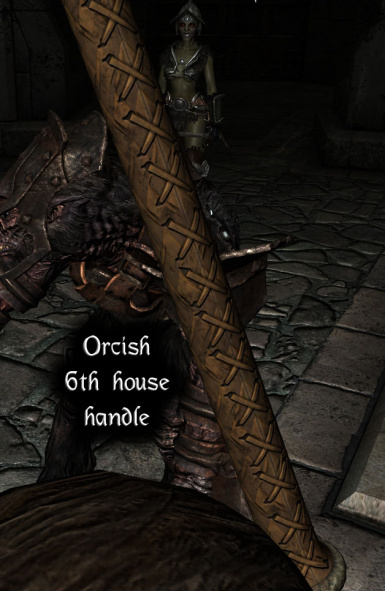 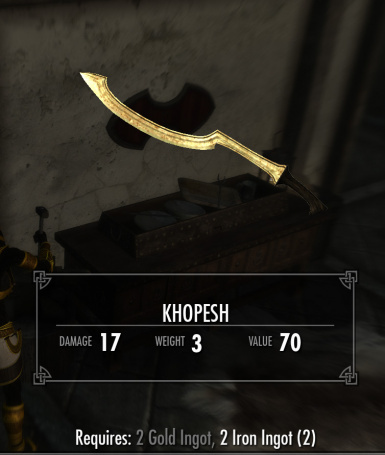 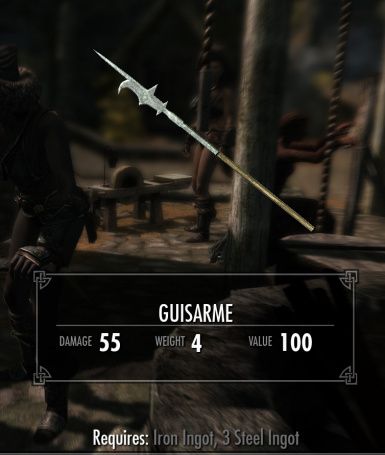 They have spear in their names for those using spear animation mods. 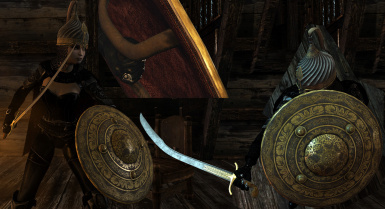 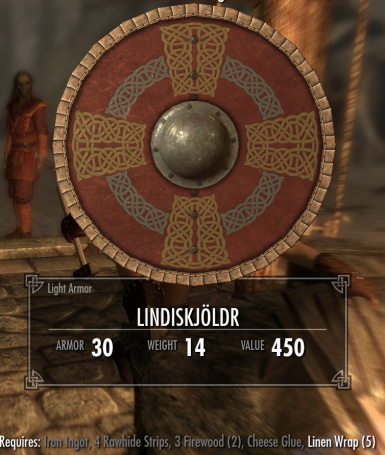 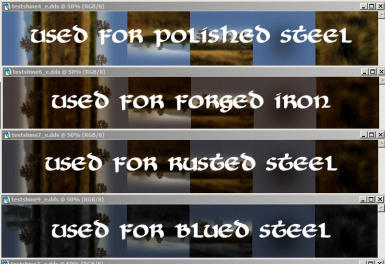 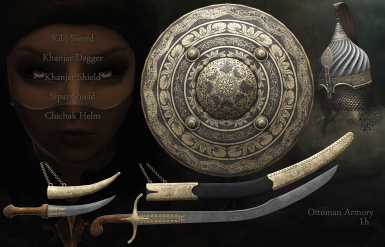 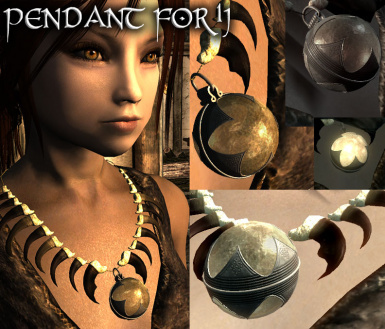 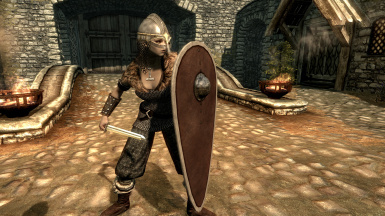 There is a set of Viking shield PSD files in the Optional section for those who want to customize the Lindis shield. 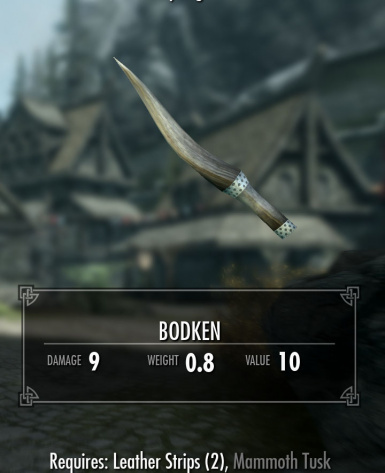 Huge overhaul to existing items to fix corrupted inventory data. 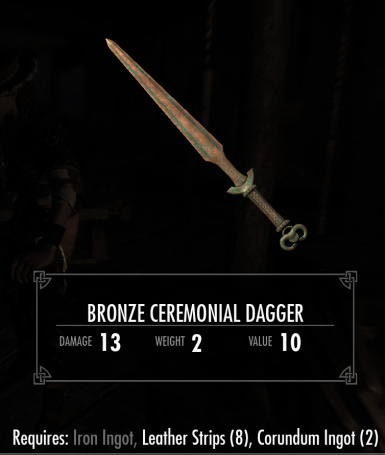 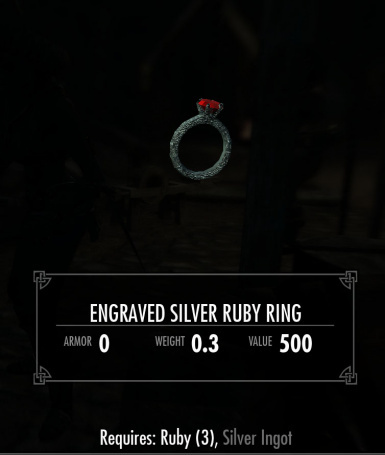 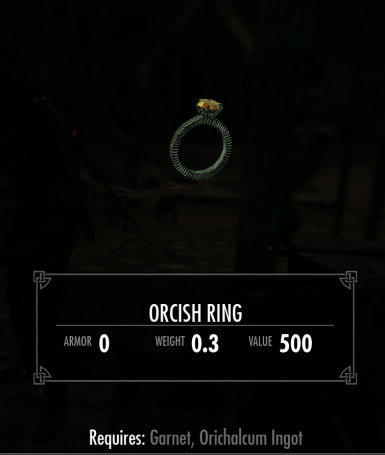 They will now show correctly at the forge. 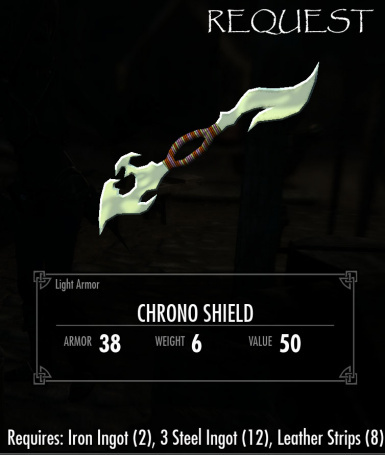 Added in a ton of new items. 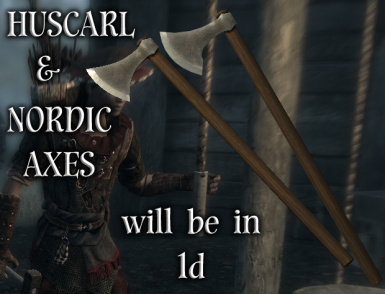 See list for details. 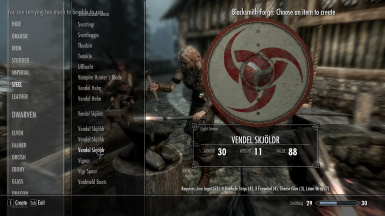 Cheese Glue- require cheese wheel (goat or eider) +4 bone meal -required for Lindiskjoldr shields. 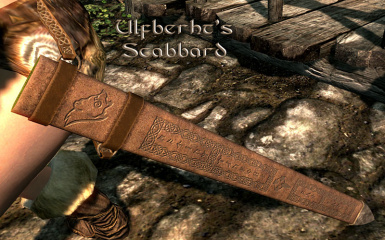 Rawhide Strips- require deer hide or pelt -required for Lindiskjoldr shields. 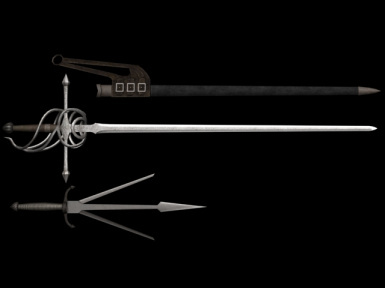 Bow Strings- require linnen wraps -required for the new long bows. 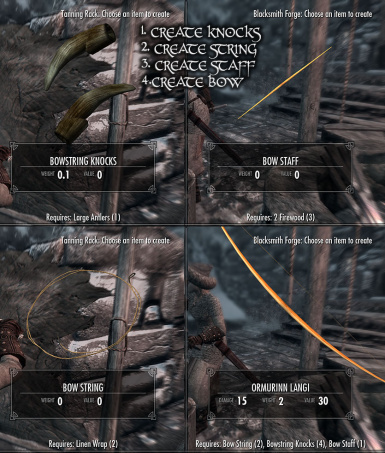 Bow String Knocks- require large or small antlers -required for the new long bows. 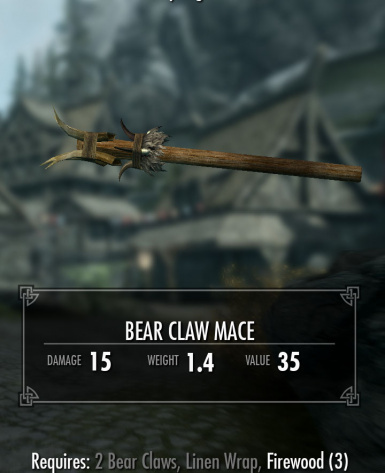 Bow Staff- require firewood -required for the new long bows. 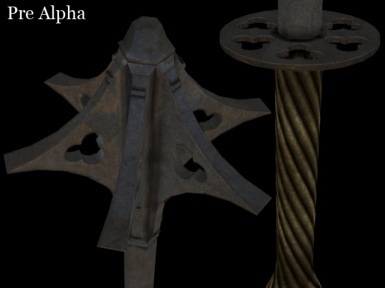 Major overhaul for meshes and textures, along with a few new items. 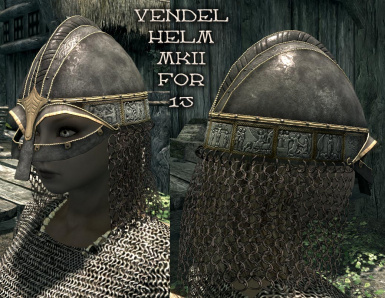 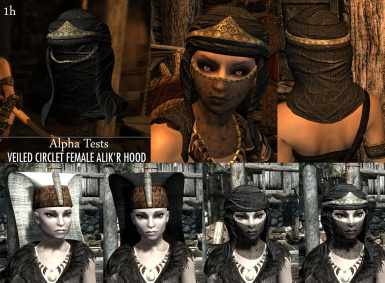 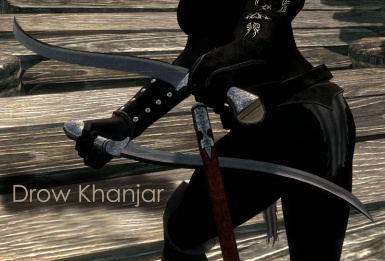 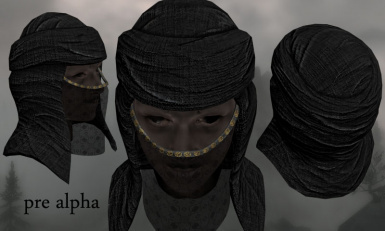 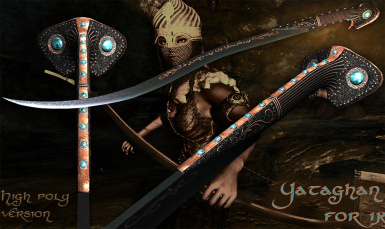 Rebuilt Veiled Alik'r hood meshes to resolve some lighting issues that were annoying me. 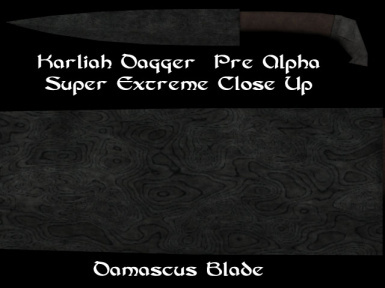 Added in several new items and did more alterations to normal maps of existing items, along with fixing a few meshes. 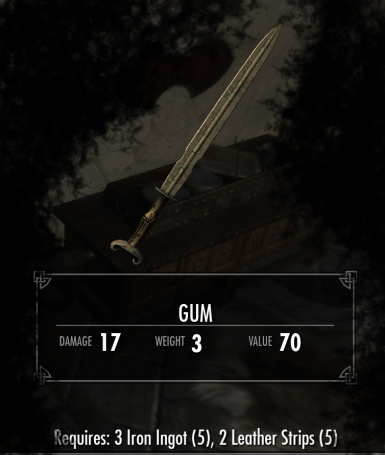 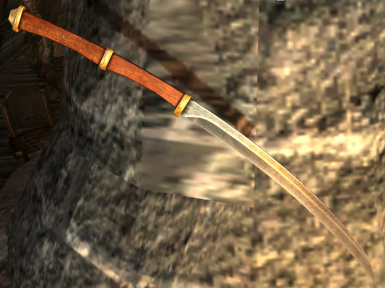 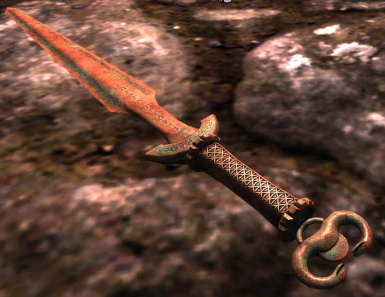 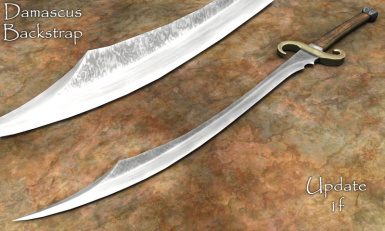 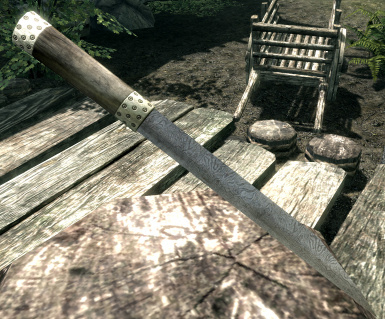 Fixed a hosed normal map for the Gum, Korean bronze sword. 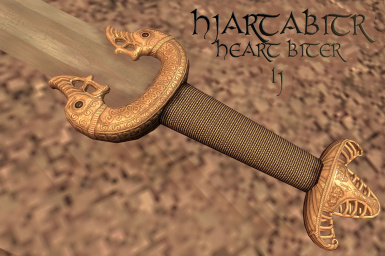 Added in a bronze ceremonial great sword. 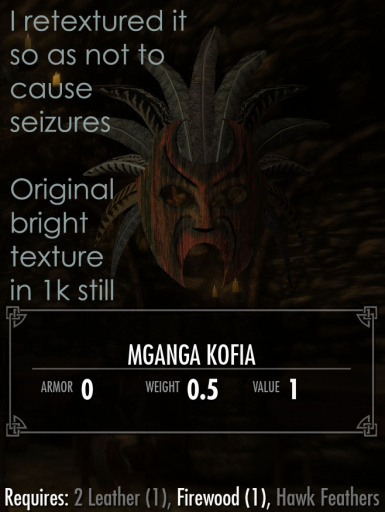 Adds several new items and changes are made to existing items to help those who must use low graphics settings. 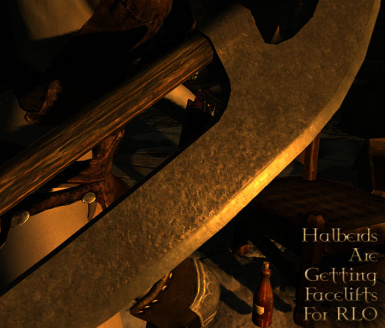 Added the 6th House Bell Hammer and updated a few more environment maps. 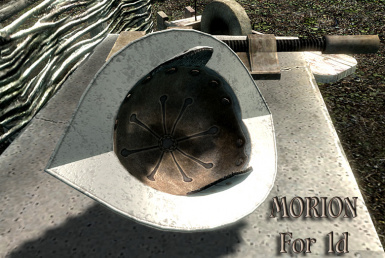 Main files, Bobsarmory and update 1e are BOTH required for the leveled lists. 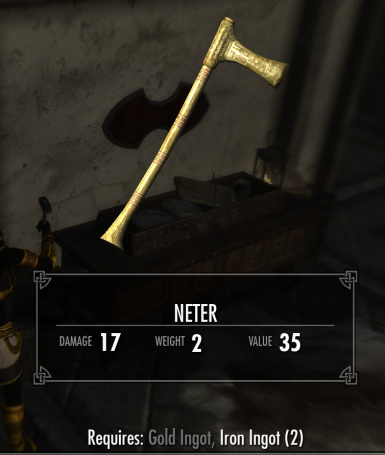 Fixed Neter to work in either hand, and moved it to the Steel category. 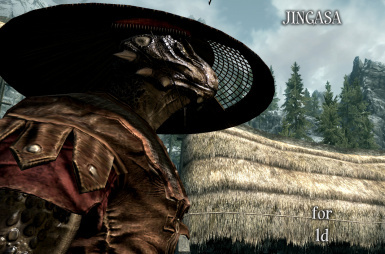 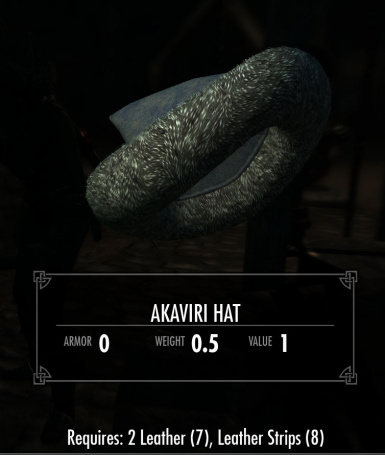 Fixed the Akaviri hat so it hides that bald spot in the vanilla hairline meshes. 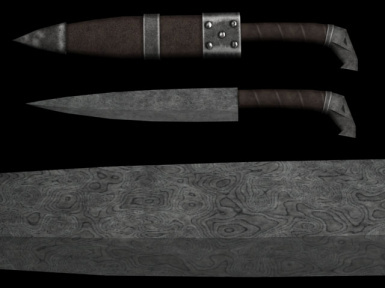 Added more items and adjusted 2 textures. 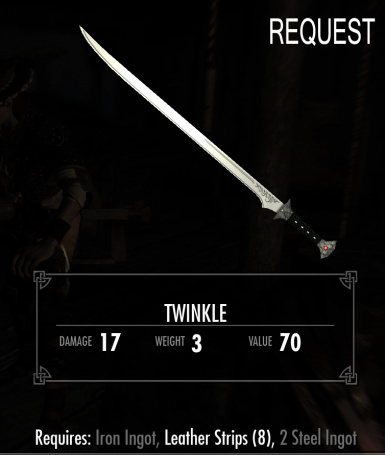 Added in several new request items. 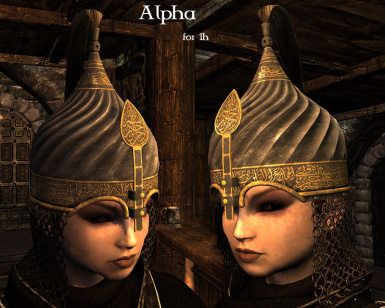 Beast races no longer fear the new hats. 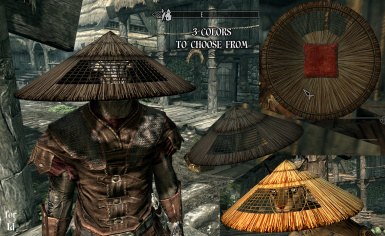 No more chef hats popping up. 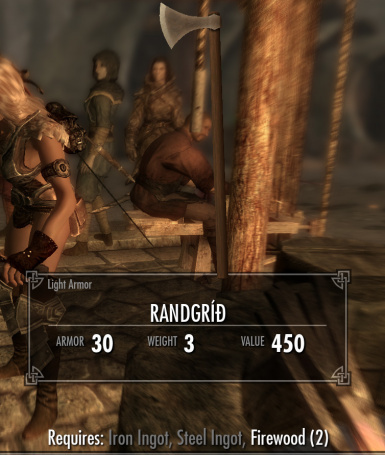 Added light and heavy versions of remaining and new weapon shields. 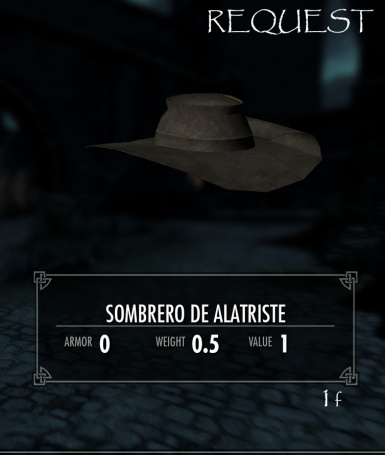 Added in several items, many by request. 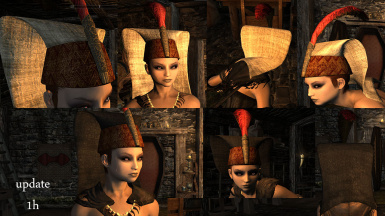 The hats used in conjunction with any of the Sims hair ports will cause the hair to vanish. 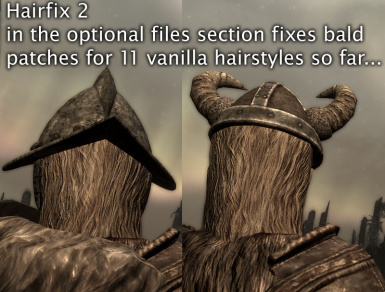 It's due to the Sims hair port mods not being correctly set up with proper dismemberment selections and proper hairline meshes. 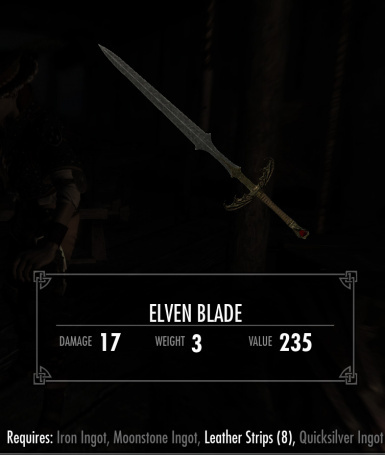 It isn't this mod causing it. 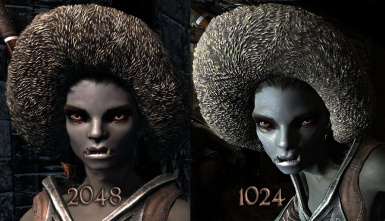 It's a bug in the hair port mods, which is a shame, because those are some cool hair meshes. 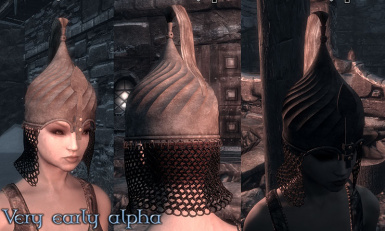 What they would need to do to fix their hair is go into Max, or Blender, and in the dismemberment poly selection list, grab certain faces and assign them to their respective categories, so that only the top of the hair vanishes when hats are worn. 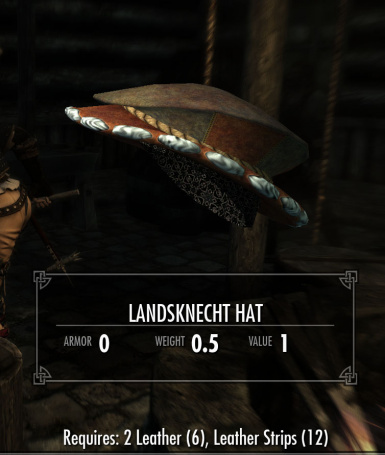 Try out the default chef's hat and you will see the same bug happen. 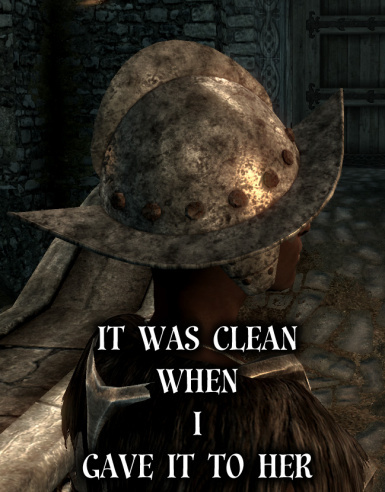 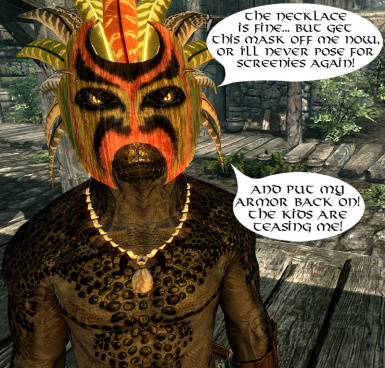 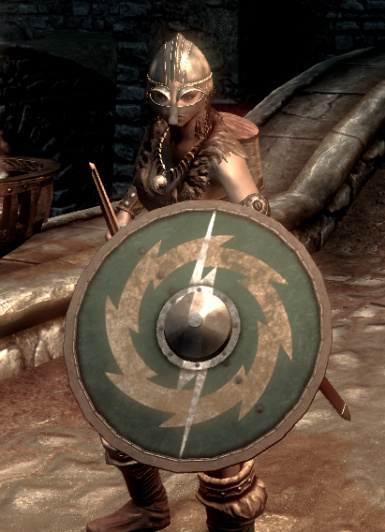 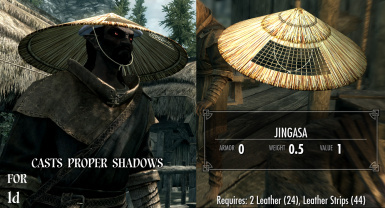 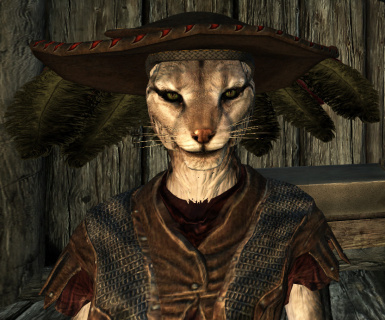 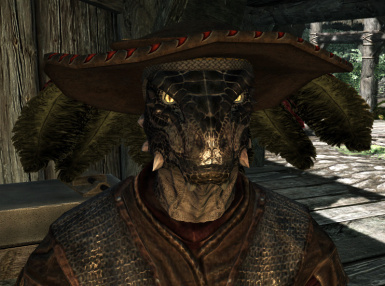 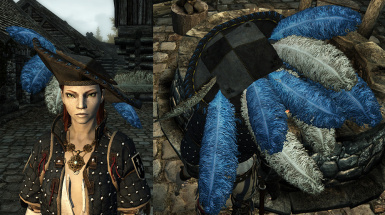 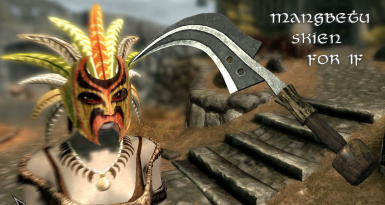 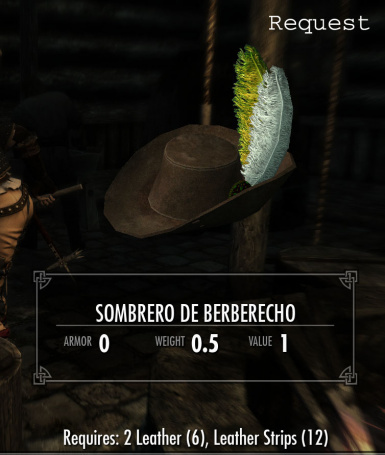 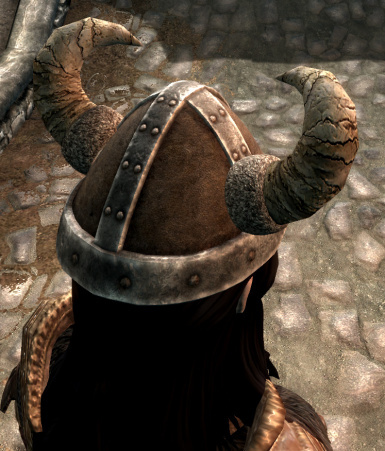 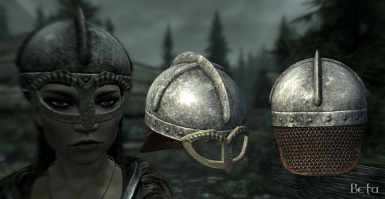 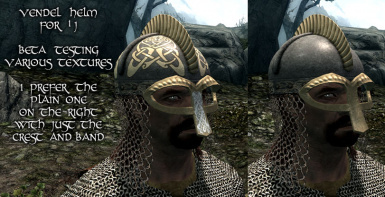 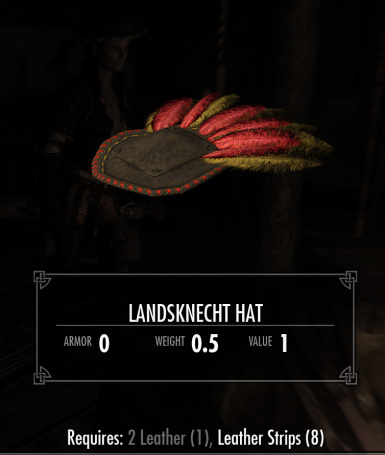 Do not ask me to modify my hats, which work correctly, to show hair sticking through them because of someone else's mod.